I have made this recipe the other day and it was very tasty although I might have dropped a little too much chilli flakes because some people liked it and some didn’t .. they didn’t like the spice that is. Oh well! Even Nathan said it was yucky lol, but leaving that aside, it was very good. You don’t have to add any chilli if you don’t like that and you’ll be just fine. Also, you will see in the pictures that I have got 3 tins of chopped tomatoes and 2 of tuna. 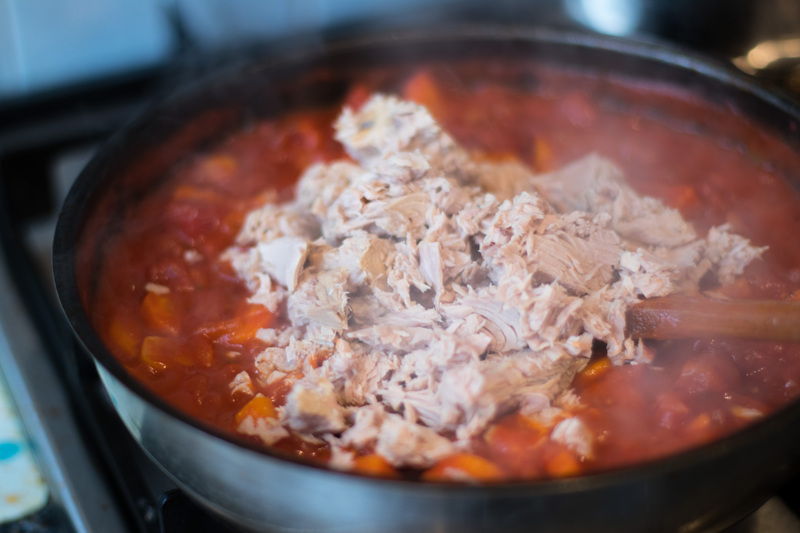 Ignore that, because the recipe is actually so much better if you use them the other way around: 2 tins of chopped tomatoes and 3 of tuna. So let’s get to work! This recipe is enough for 4 persons. 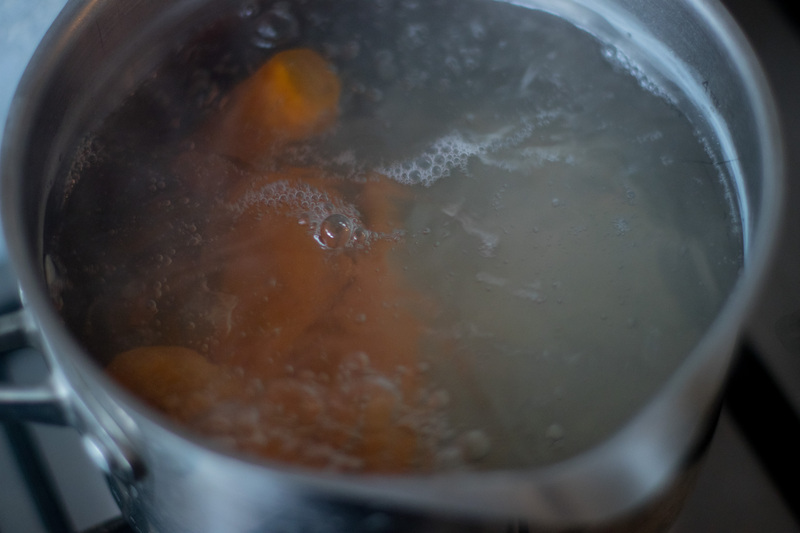 Place a small pan of water on to boil and add the carrots for about 15-20 minutes with some salt. 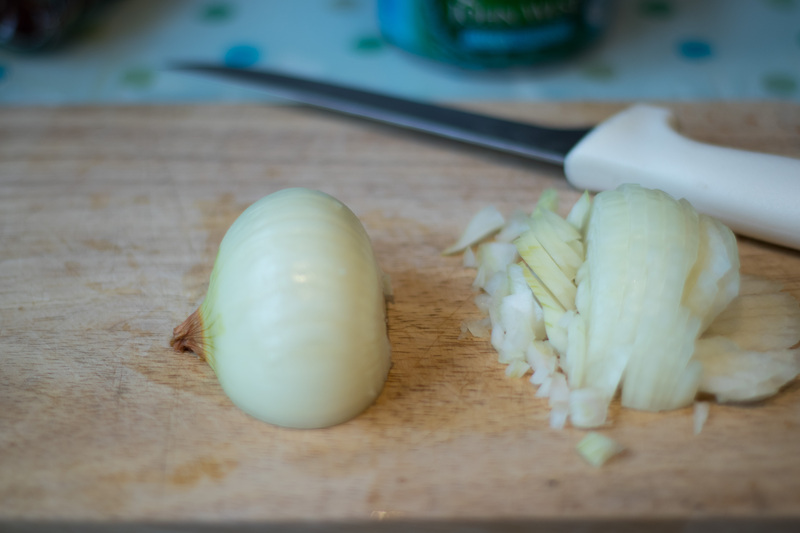 Meanwhile, peel and finely chop the onion and garlic. Place a large shallow pan over a medium-high heat. 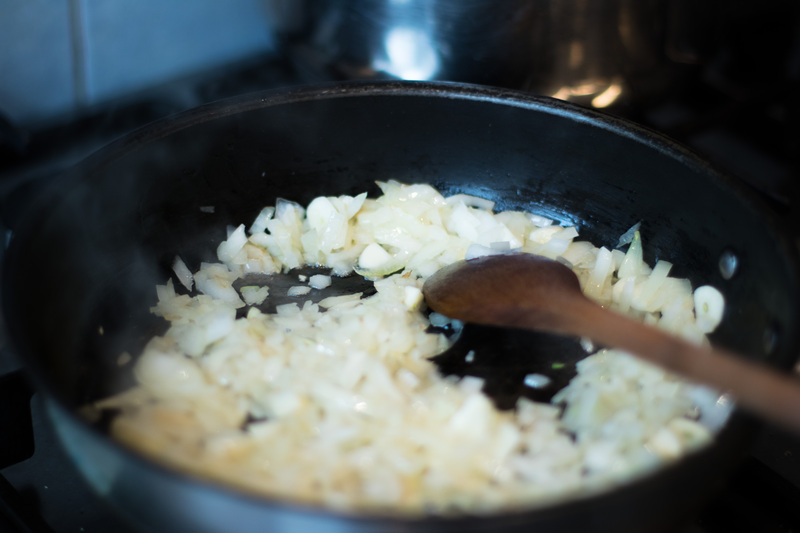 Add 3 tablespoons of oil, the onion, garlic and fry for 5 minutes or until softened, stirring occasionally. 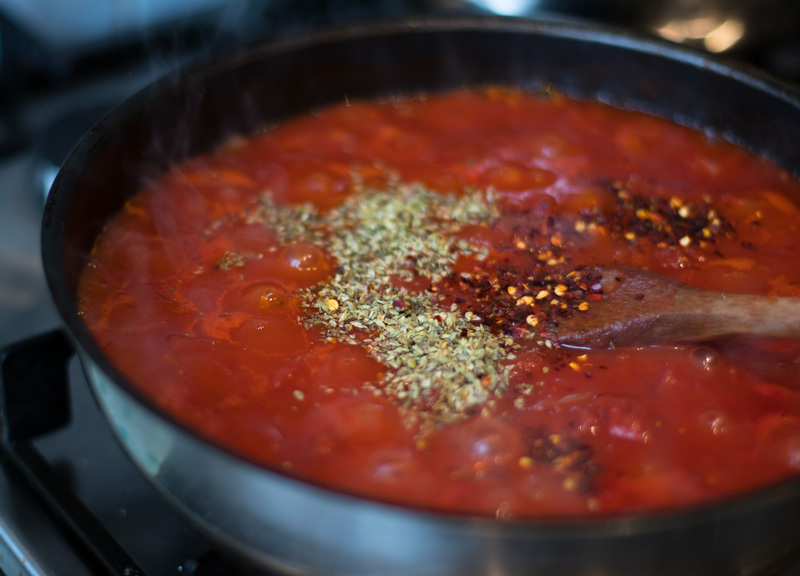 Turn the heat up to high and pour in the chopped tomatoes, oregano and chilli flakes (as much as you think you will like). Bring to the boil, reduce the heat to low and simmer for 15 minutes. Place a large pan of water on to boil with 1/2 tablespoon of salt. Once the water is boiling, add the pasta and cook for 8 minutes. 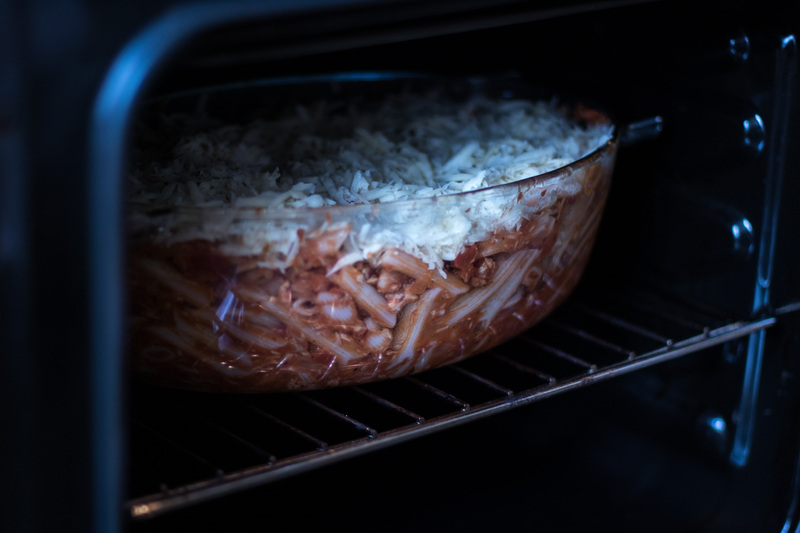 At this stage you can preheat the oven to 200ºC/400ºF/gas 6. 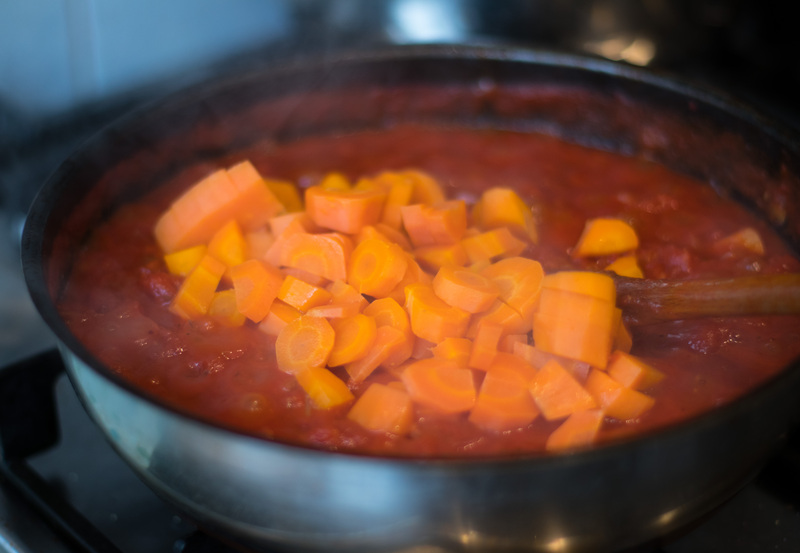 Meanwhile, if the carrots are done, dice them and add them to the tomato sauce. 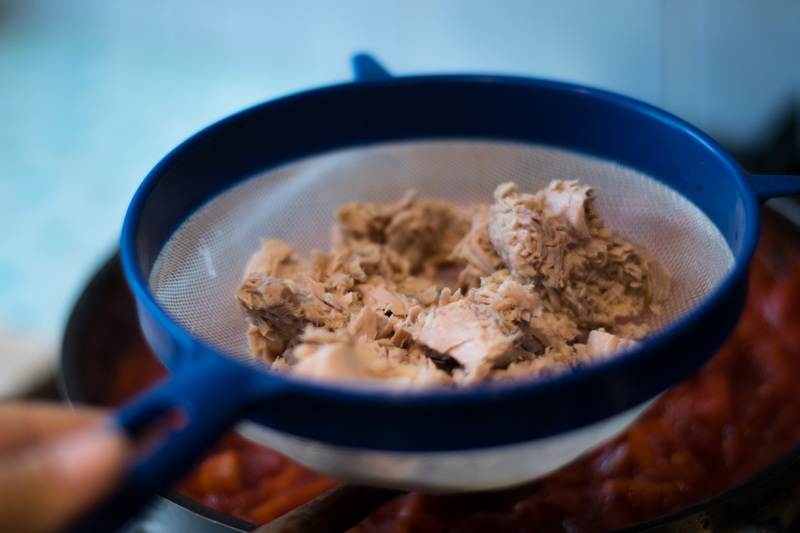 Drain the tuna and stir through the sauce. Season with a pinch of salt and a pinch of black pepper. 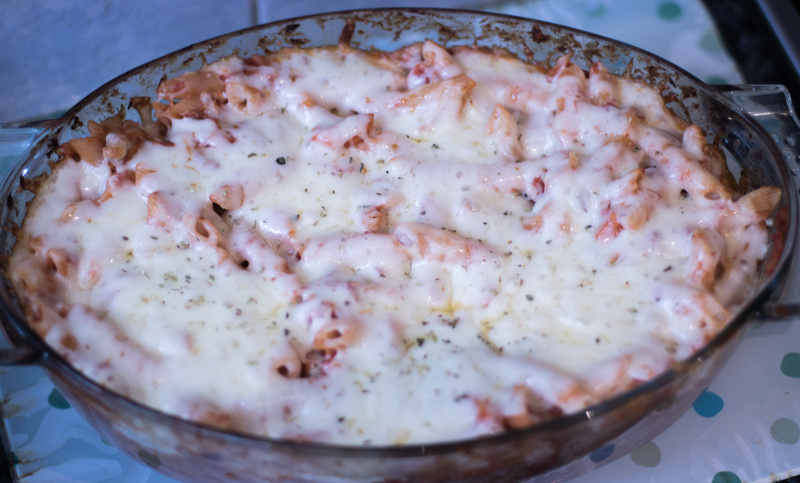 Once the pasta is done, toss and coat the pasta in the sauce, then transfer to an ovenproof dish. 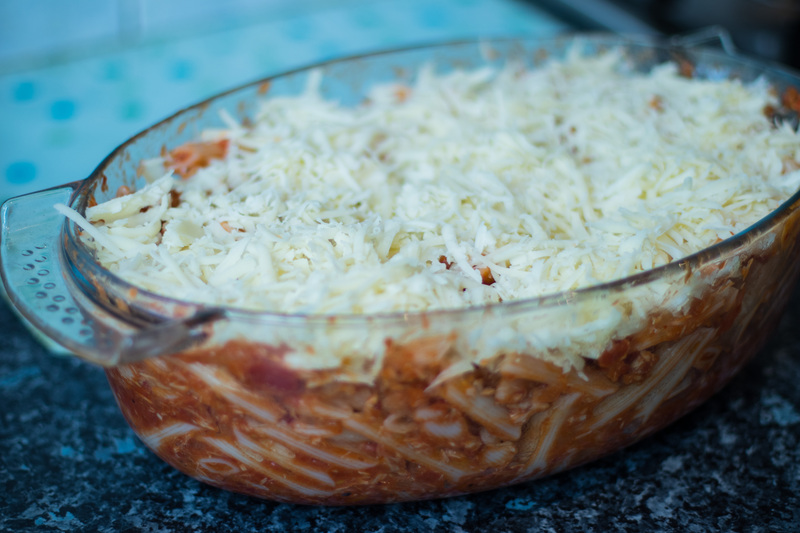 Sprinkle the grated mozzarella over the pasta. Sprinkle a bit more oregano and black pepper on top and then place in the oven for 20 minutes, or until golden. Add salt to the boiling water to hurry up the boiling process! Add salt to the onion when you fry it to avoid burning it!